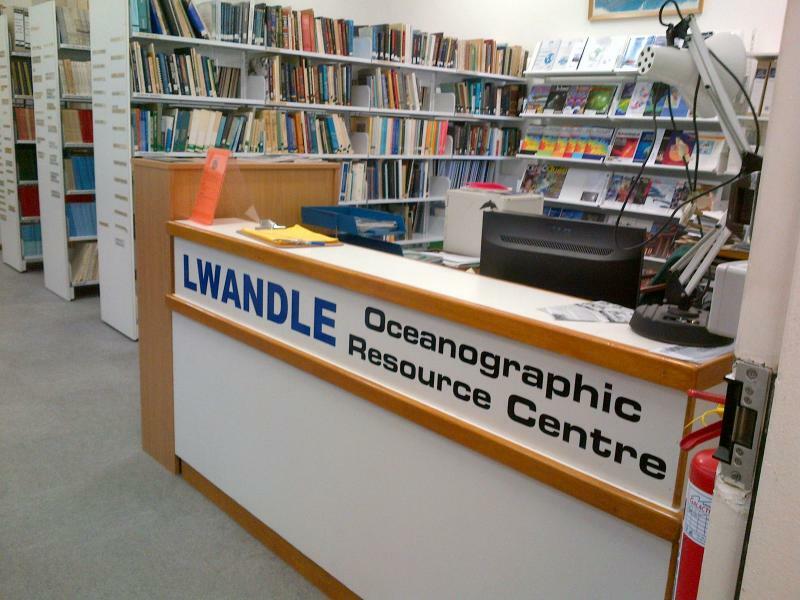 The Lwandle Resource Centre is a departmental library also referred to as the Oceanography Library. It is used by staff and students mostly post graduate students, research associates and visiting scientists of the Oceanography Department but is available to all members of the university community as well as other teaching and professional institutions. The Library holdings comprise of reference books, general books and journals on marine research, as well as a collection of reports, reprints, conference proceedings, maps, DVD's and theses. The holdings in the library are virtually all donations from staff and students as well as book purchases. Journals are arranged alphabetically by title. PhD and Masters theses are arranged alphabetically by author. Honours theses are arranged by year and then alphabetically by author. The Resource Center also houses a collection of Newsletters, Reports, Conference Proceedings & Reprints. The short loan collection is specifically for Oceanography students where the lecturers will place relevant reading material for the courses as they are taught. The facility is mainly utilised for the post-graduate students but from time to time will service the undergraduate students as well.